Water isn't something new or unique to Civilization: Beyond Earth. 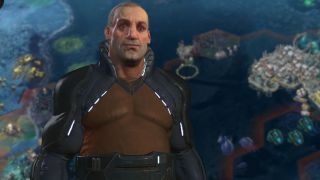 Oceans and lakes have been in the Civ series since the very beginning, but Beyond Earth's first expansion, Rising Tide, changes what you can do on and with those water tiles. More water based resources, better and expanded water units, water-focused Civs, and the biggest change of all: cities built on water that can be moved. But Rising Tide doesn't only expand Beyond Earth's water gameplay, it also brings much needed updates to the UI and a brand new way to trade and interact with opposing Civs. Watch the video above for my full thoughts on Civilization: Beyond Earth's Rising Tide expansion.